Custom inflatable mascot auto ventilated autonomous manufacturing . 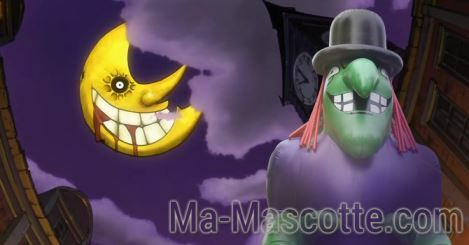 The custom-made mascot (or inflatable costume) with forced air is an innovative concept that is attracting more and more professionals in the area of animation and events ! 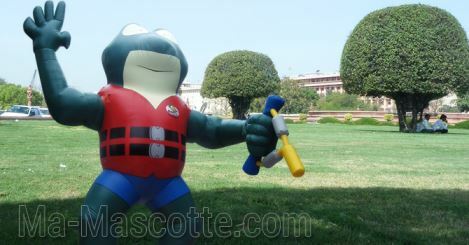 Custom inflatable mascots are self-ventilated suits that inflate with a self-powered blower battery. A person equipped with a ventilation system fit into the costume and swells. 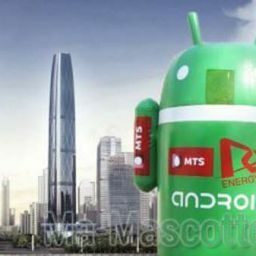 The battery allows the use of the mascot for about one hour. 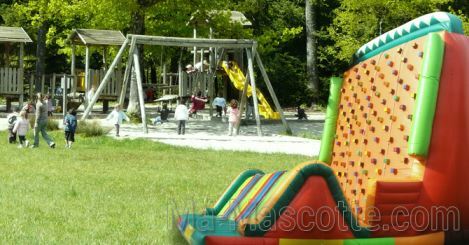 The blower system is based on the same principle as inflatable castles for children. The blower is carried by a person inside the costume. These costumes are lightweight and comfortable to wear thanks to the constant circulation of air that keeps the freshness inside the structure. This type of costume can be created in any desired design and allows large volumes. 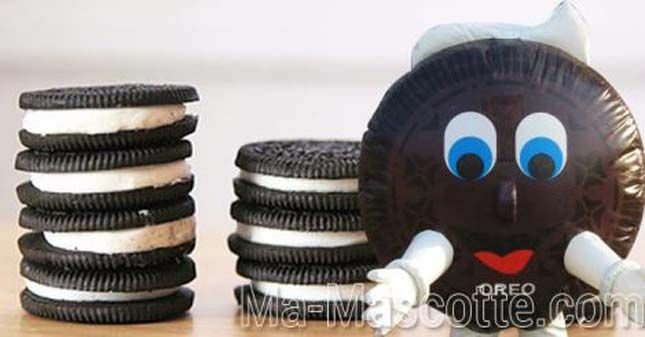 This kind of mascot is ideally suited for creating packaging designs with four-color printing for labels and logos. 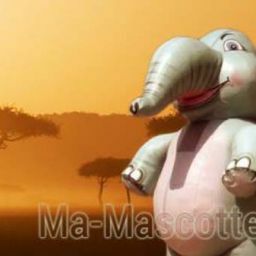 Custom inflatable mascots are perfectly made for use in shopping malls, fairs, exhibitions and during sporting events. Mascot Size : between 180cm and 300cm depending on the design. Materials : PVC coated ripstop nylon, protected against UV ( option: cover outside with plush or fur fabrics). Printing : Digital used for products replicas. The characters and animals are painted with a paint gun. Comfort : easy and comfortable to wear thanks to their light weight as well as a constant supply of fresh air through the wind tunnel. 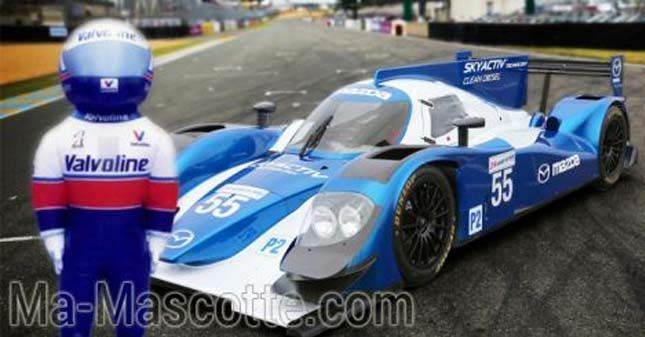 Mobility : ability to walk, run, jump, greet people, shake their hands. Maintenance : no maintenance cost, easy maintenance, inflatable costumes are washable with mild detergent and water. Life : several years (maintenance and proper storage). Small holes or cuts will not affect the suit during parades. A blower adapted to the size of the mascot. A 12V rechargeable battery lead. A user manual (downloadable here: inflatable-mascot-costume-instructions.pdf). 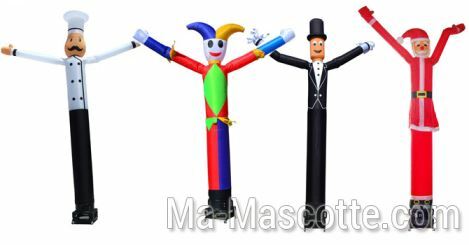 You can cover your inflatable mascot with fabric or fur to get an identical appearance as ‘classic’ made of foam and fabric mascots; it is the fur option. Made with fireproof materials (on request). 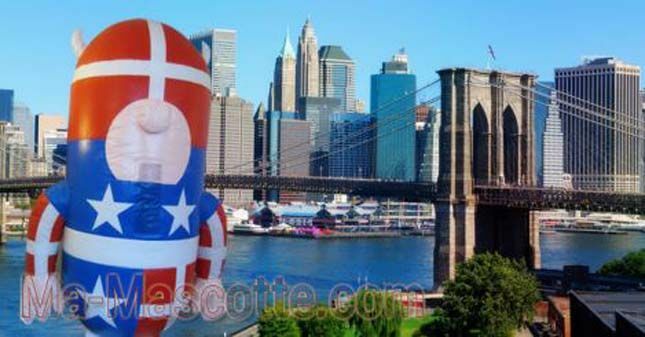 Fireproofing treatment (M1 fire certificate): we provide a product to spray on the inflated mascot. 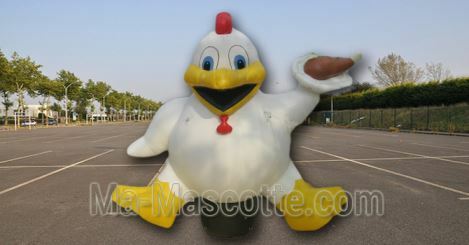 Custom Made Carambar Loustik Mascot Costume (custom made inflatable mascot). 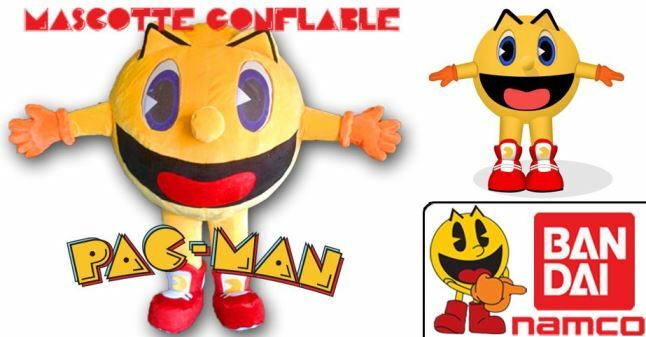 Custom Made Pac Man Mascot Costume (custom made inflatable mascot). 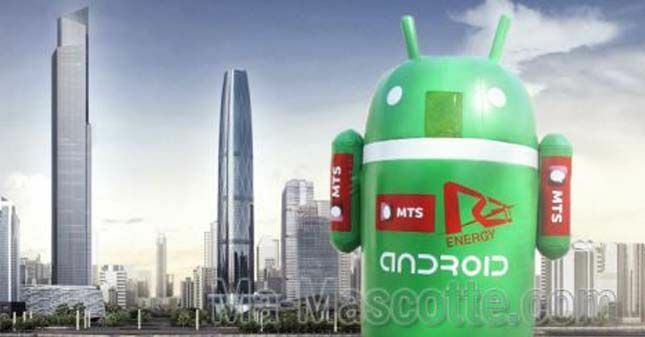 Custom Made Android Mascot Costume (custom made inflatable mascot). 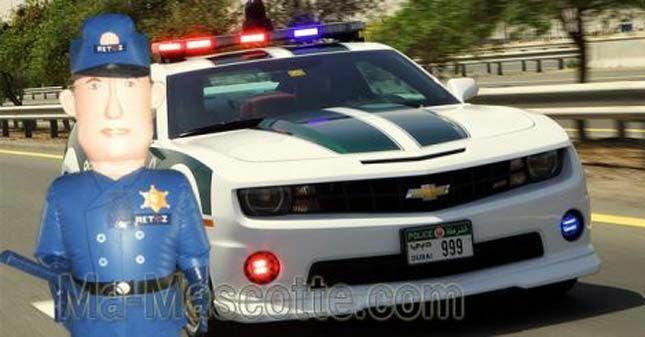 Custom Made Policeman Mascot Costume (custom made inflatable mascot). 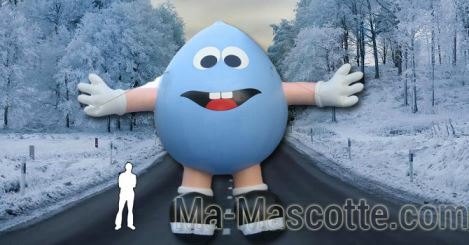 Custom Made driver Mascot Costume (custom made inflatable mascot). 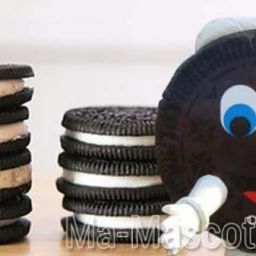 Custom Made Oreo Mascot Costume (custom made inflatable mascot). 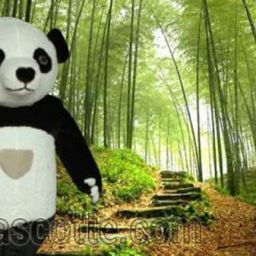 Custom Made Character Mascot Costume (custom made inflatable mascot). 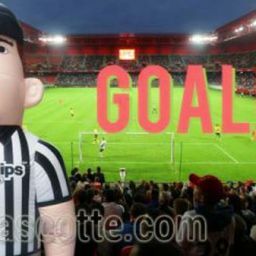 Custom Made Arbitrator Mascot Costume (custom made inflatable mascot). 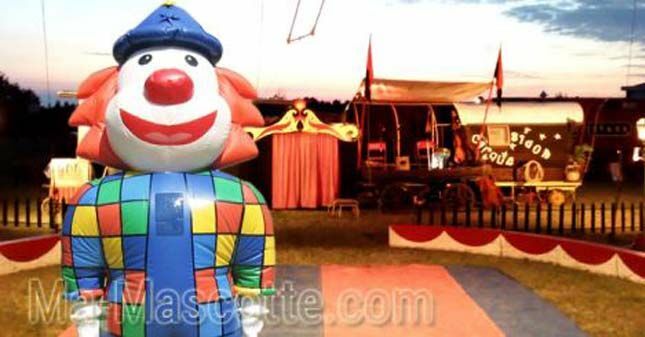 Custom Made Clown Mascot Costume (custom made inflatable mascot). 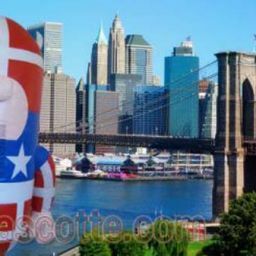 Custom Made Captain America Mascot Costume (custom made inflatable mascot). 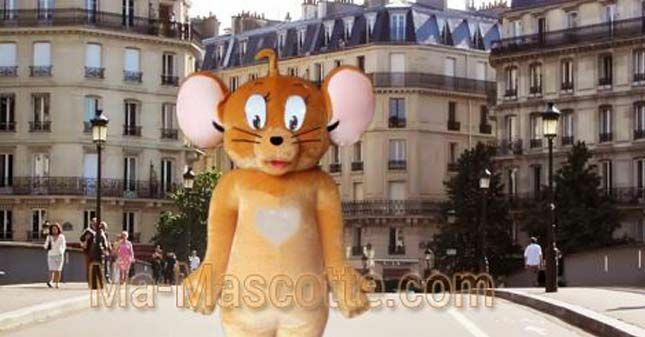 Custom Made Mouse Mascot Costume (custom made inflatable mascot). 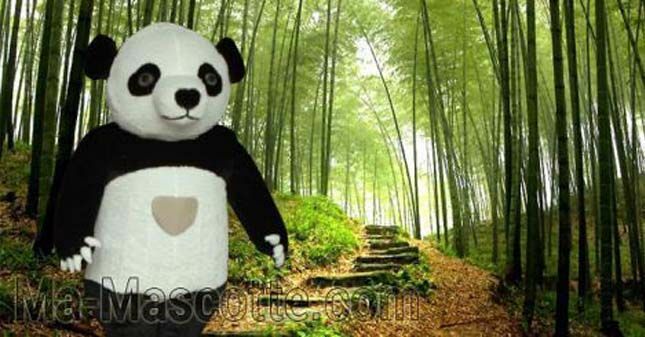 Custom Made Panda Mascot Costume (custom made inflatable mascot). 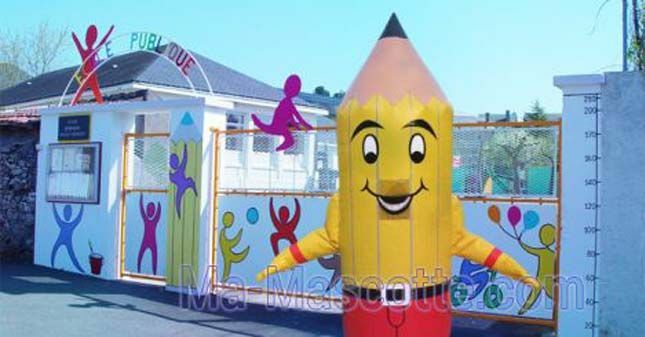 Custom Made Pencil Mascot Costume (custom made inflatable mascot). 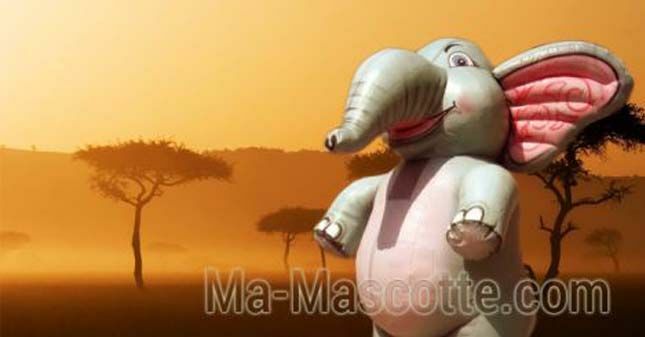 Custom Made Elephant Mascot Costume (custom made inflatable mascot). 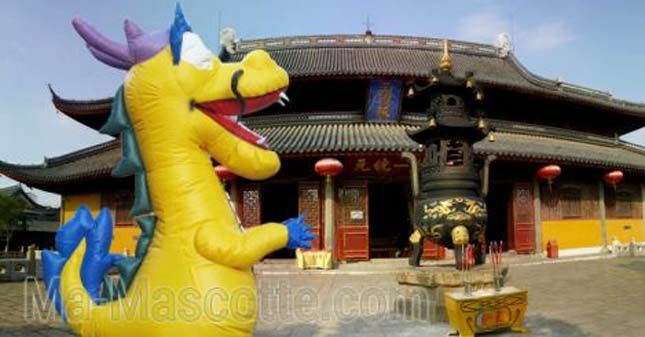 Custom Made Dragon Mascot Costume (custom made inflatable mascot). 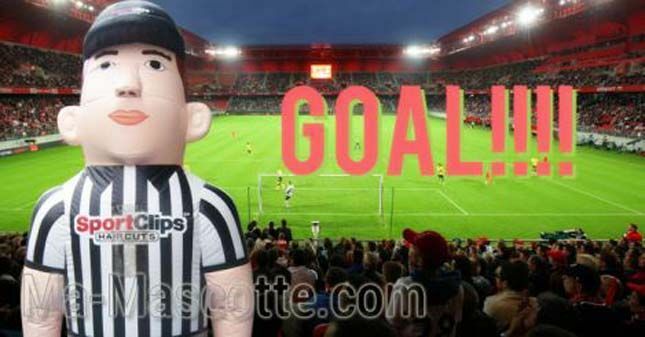 Send us your graphics (drawing, photos, sketches, models) of the mascot to manufacture. 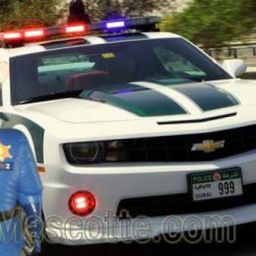 For more accurate response (time, quantity, characteristics, …. 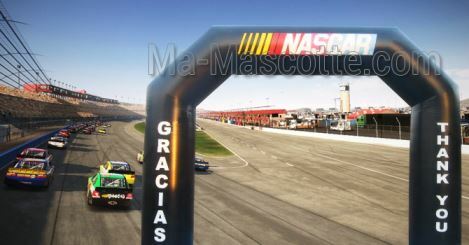 Logos) thank you to provide maximum detail and information. 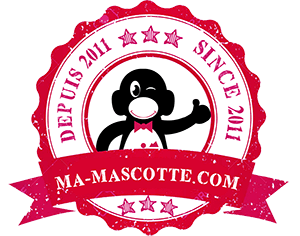 Ma Mascotte answered within 48 hours for your quotation request. 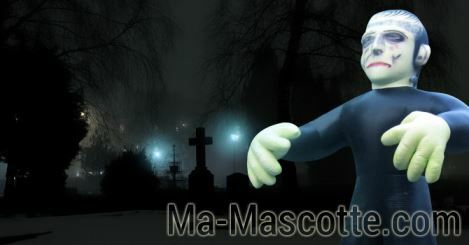 If you are not sure of the mascot you want to achieve or you have no idea; we offer a full service of mascot creation; more information : mascot graphic design. Quotation and acceptance of it to start the design process of the prototype custom plush toy. Design creation of your custom-made mascot: back, front and profile. 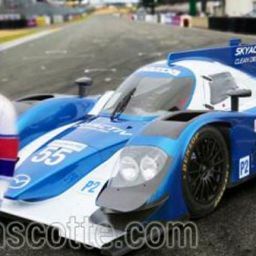 Adjustments if necessary and validation of the graphic drawing. Making your custom mascot from different materials. 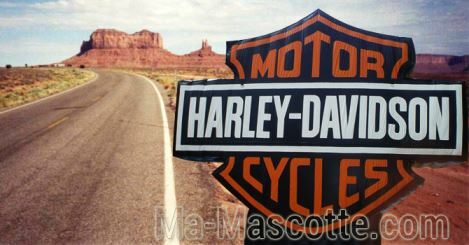 Ma Mascotte also offers manufacturing and creation of all kinds of inflatable advertising items. 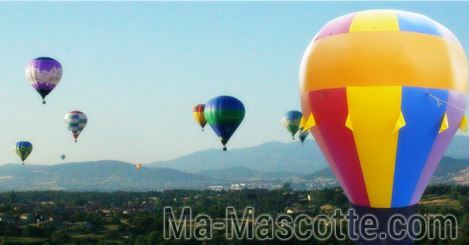 These can be filled with air or helium, to be supplied with or without blowers. 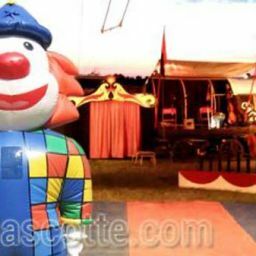 Example products : inflatables castles, advertising balloons, sky-dancers, arches, inflatable tents, product replicas, inflatable decoration, inflatable advertising, etc. 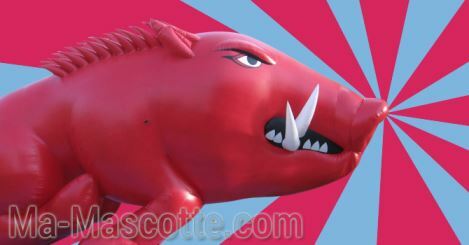 For other examples of inflatable products, go to mascotte-gonflable.com !